Back and neck pain are frequent complaints in North America that affect 80% of us at one time or another. The SpineMED spinal decompression protocol is an FDA approved, non-surgical treatment designed to correct the cause of your back and neck pain. The spine is made up of a chain of bones, called vertebrae, connected together by ligaments and muscles. A disc separates each vertebrae and acts like a cushion to absorb shock along the spine while allowing you to bend, twist and turn. The disc contains a jelly-like fluid wrapped in a tough outer covering. Repeated stress eventually can tear the outer covering, sometimes allowing the disc to bulge like an old tire pressing nerve against bone and causing pain. Discs do not have their own blood supply. They depend on pressure differences to transfer fluids, nutrients and oxygen from the vertebrae above and below. This is why most disc nutrition and regeneration takes place while lying down and pressure inside the disc is reduced. This process is not always efficient and, as we age, the disc is exposed to wear and tear greater than it’s ability to heal and regenerate. Once damaged, discs seldom heal on their own because they remain under constant pressure, even while you are at rest. The SpineMED protocol uses computer-guided motion to relieve pressure on the injured disc, encouraging the tissue to reabsorb fluids and restore its ability to cushion the spine. All treatments are administered at NeuroSpine & Pain Center, 7956 W. Jefferson Blvd. (on the Lutheran Hospital campus) under the direction of Dr. David Lutz, M.D. who focuses his practice on the non-surgical care of the spine, pain, and musculoskeletal problems. You will remain fully clothed at all times. For low back pain, you’ll lay face-up on a specially designed treatment table with knees bent and resting on a padded bolster. Patented fittings are adjusted to grip your hips and pelvis to the lower portion of the table. Your upper torso is secured to a fixed section of the table. Dr. Lutz programs the computer-controlled table with your specific treatment parameters. Then, the patented Pelvic Tilt lower section of the table gently tilts the pelvis applying precise computer-controlled relief, removing pressure from the disc(s). What Makes SpineMED® different from other systems? Better technology creates better results. SpineMED® is engineered to overcome the limitations and side effects of previous decompression devices. Cumbersome nylon harnesses, antiquated traction components and outdated tower designs have been replaced with advanced electronic controls designed to precisely target and decompress injured spinal segments with a significantly lower distractive force. Lower force can reduce negative side effects, increase patient comfort, and allow doctors to offer SpineMED® decompression to acute, frail, or elderly patients who cannot tolerate the higher forces of older decompression devices. Adjustable patient positioning is designed to accurately move the focal point of distraction, allowing SpineMED® to target specific spinal segments. 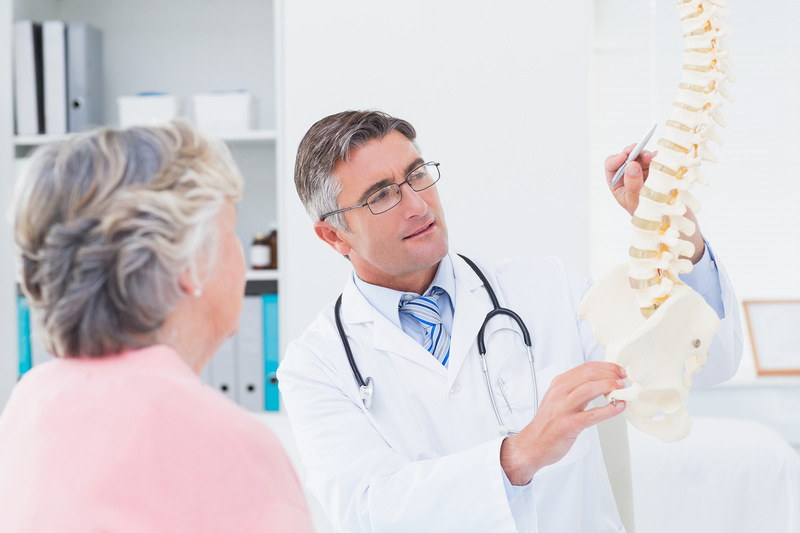 How long do SpineMED® treatments take? Each treatment session lasts 60 minutes and includes decompression, electrical stimulation and ice therapy. How many SpineMED® treatments are required? You’ll typically have a total of 20 sessions (5 times per week, over a 4 week period). SpineMED treatments have a gradual, cumulative effect. Each session gives the disc(s) time to decompress and replenish fluids and nutrients. At the end of the treatment series you may be given mobilization and strengthening exercises to help prevent further injury. Are the SpineMED® treatments painful? No. Many patients find the treatment very relaxing. In fact, it’s not uncommon for patients to fall asleep on the SpineMED table. Can I have SpineMED® after back surgery? Many patients with previous back surgery are candidates for SpineMED therapy. Patients with implants such as screws, rods, pins, cages, etc. are typically not accepted. Schedule an evaluation with Dr. David Lutz. He will review your case, and discuss treatment options. Dr. David Lutz meets privately with all patients to explain the SpineMED Protocol in detail and determine whether SpineMED spinal decompression is a good fit for you. Schedule an appointment by calling 260-436-2416 or 800-905-6608. Please ask for SpineMED. Please bring MRI, X-ray or relevant medical records to your initial appointment. Learn more about our other areas of expertise and how we can help you. At NeuroSpine and Pain Center, patients receive care from some of the best in the field.